In the present day and age, it has actually become possible to maintain your personal finance online. You can now pay your bills online, carry out net banking, manage your bank accounts and track your budgets and investments. But when it comes to personal finance, it is always important to use trusted websites. If you’re wondering about the most reliable websites, then the article below can help you out with the various kinds of software and their features. Simple Money Keeper is one of the top rated software applications when it comes to matters of finance. This is reliable and also easy to use. Both these factors are a must in any personal finance software. You can balance your check book, keep a track of your credit cards, keep track of loans, manage your recurring deposits and also your bills. 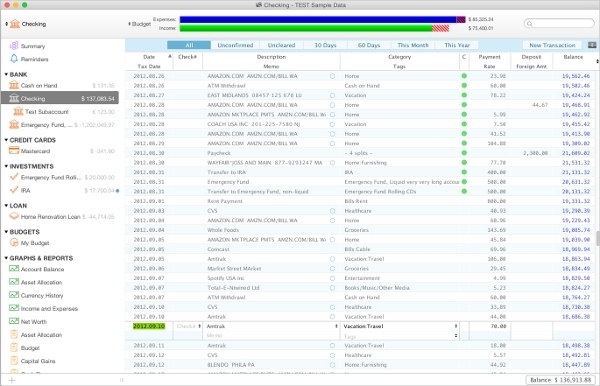 This is one of the most trusted check book software in the finance world. It offers a large number of services to the user. Any kind of financial task- starting from payment of bills to even tracking your investments, Clear Check Book does it all. Plus, unlike most financial software applications, this one is really easy to use. If you’re looking for free check book software, then you cannot afford to miss out on Simply Checking. It allows you to keep an eye on your budget and your expenditures so that you do not exceed your limits. Plus, you will be able to carry out other kinds of financial tasks as well which can be of great help to you. For simple and easy money transfer systems, you must take a look at Quicken. The interface is so simple and easy to understand that even a child can operate it! You can carry out different kinds of financial tasks on this software without having to worry about safety or security since all transactions take place through a secure channel. If you’re talking of reliable check book software, one really cannot forget Buxfer. All you have to do is download the software and create an account. There are powerful features which make it one of the most popular software applications in the market. It also guarantees bank level security which is a must for all personal finance software. At present, there are three platforms that are used across the world. These include Windows, Android and Mac. For all three platforms, there are separate software which are perfectly compatible. 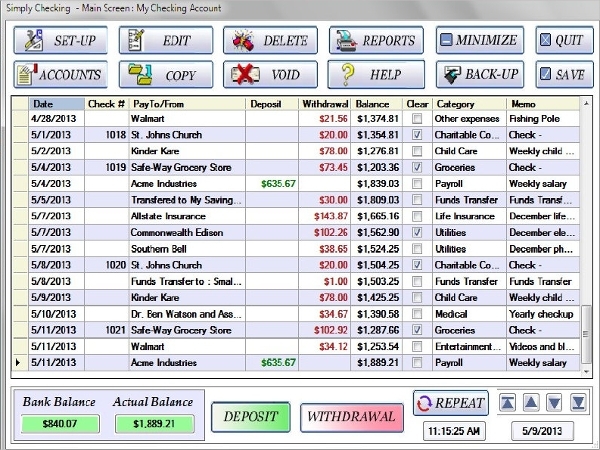 While most personal finance software are likely to function across all platforms, there are some software which are unique to Windows, Mac and so on. 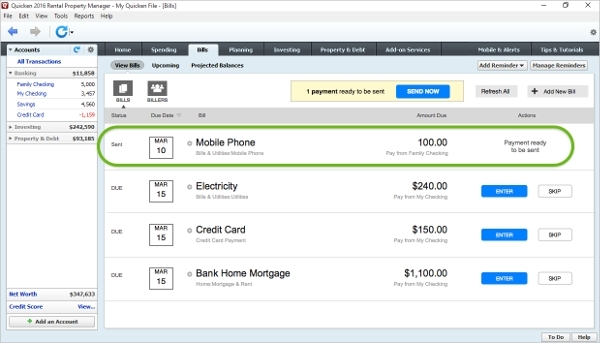 Now you do not actually have to write down checks when it comes to finance, you can just do it online. It is easier, safer and much more convenient. For example, this software allows you to write your checks online so that you can avoid mistakes. Also, you will be shown a record of your past investments and your status at present. Mac has some of the best options when it comes to check book software. 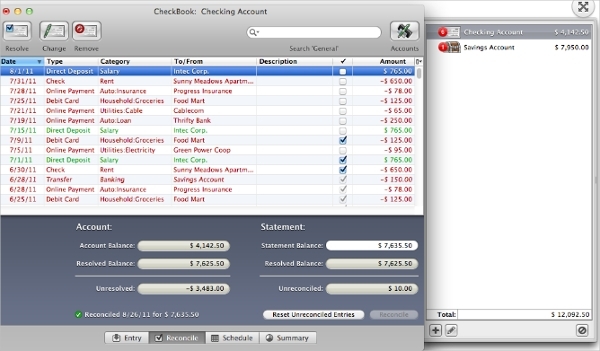 For example, most Mac users use Splasm Checkbook to carry out their financial tasks. With this software you can manage all your finances precisely and also sync and share your data with other. You can also handle your accounts across numerous currencies. MoneyDance is a personal finance software which can come to your rescue if you’re really bad with investments and budgets. Although this particular check book software is for Windows, there are special versions available for other platforms too. The best part about this software is that it handles a number of currencies and all kinds of financial tasks. There are plenty of check book software for Windows. For example, Money Dance was predominantly created for Windows users. Although the software has other versions which can be used by other platforms, it is mainly a Windows software. It allows you to proceed with your transactions in neat and organized fashion. 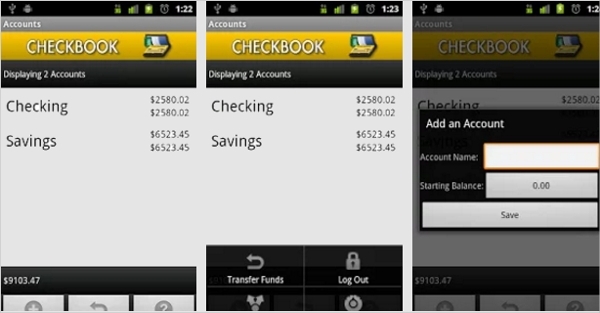 Managing your personal finance would become a piece of cake if you are an Android user. Especially when you have options like Checkbook.You can track your credit card activity, keep an eye on your budget, manage your recurring deposits, manage your loan payments, balance your check book, calculate your daily expenses and manage your bills. MoneyLine Personal Finance Software is one of the most trusted companies when it comes to any kind of software. Their personal check book software is highly in demand as well. With the help of this software, you can keep a track of your expenditures, monitor your bank balance, categorize all purchase transactions and you also get simple budget tools. It really is one of the best check book software ! It is always better to judge and be absolutely sure before you download a check book software. 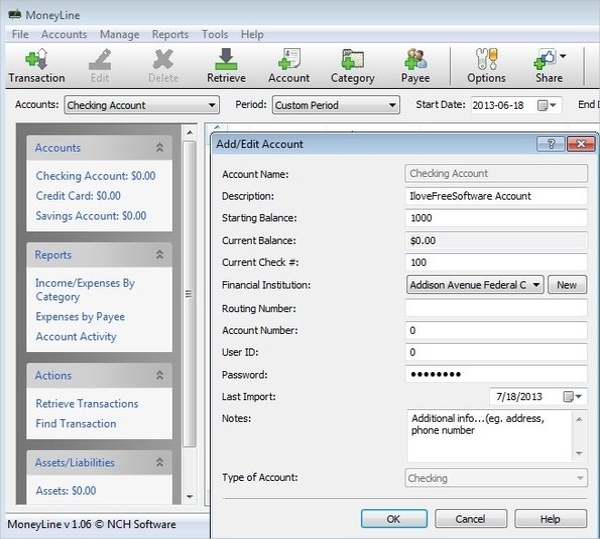 In case you’re looking for the best check book software, you must download NCH money line personal finance software . Here you can check your account balance, categorize your transactions, add or remove accounts, track all investments which include stocks and mutual funds, track transfers taking place between accounts and so on. 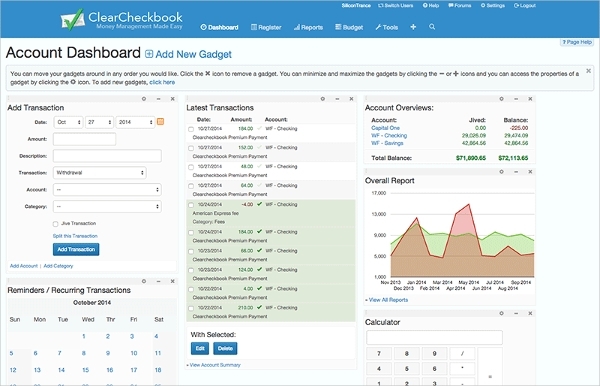 What is Check Book Software? Managing personal finances can be a hassle, especially for those who lead really busy lives. For them, such check book software is a must. These software applications could be like your very own personal finance advisor. You would be able to carry out any kind of financial activities through such software. 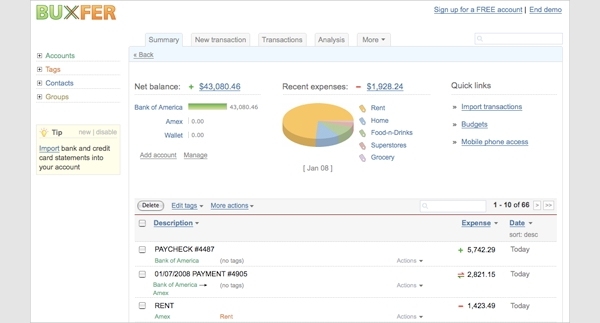 If you have to transfer money to another account, if you need to balance your check book, if you need to check your loan payments or make payments, if you want to keep an eye on your stock market investments, such check book software makes it exceptionally easy for you. All you have to do is download a reliable check book software and enter your account details into it. Yes, it really is as simple as that. How to Install Check Book Software? Before you install check book software, you need to be absolutely sure of the safety factor. Remember, all these sites will have your bank account details. That is why you need to download reliable check book software and only from trusted official websites. All the software applications mentioned above are reliable ones. There are countless benefits of check book software. For one, you wouldn’t have to worry about your finances anymore. The software will be taking care of it. Any loan payment that needs to be done, or if you need to write a check, you can rely on the software to do it for you. Moreover, it always helps to have expert guidance when it comes to finances. The software you download would be keeping an eye on your expenditures, even the day to day ones, to make sure you do not exceed your limits. Based on that, you could curb your expenditures. Also, you would be able to keep an eye on your investments and your stock market trades and mutual funds. 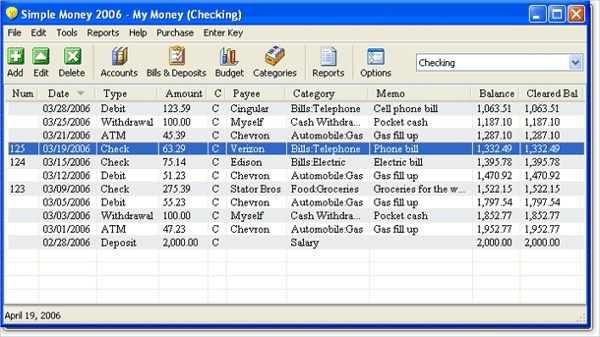 Personal finance and its management becomes really easy with check book software. It is of the utmost importance to download reliable software. If you download any of the aforementioned software, you can update your bank details, keep track of your budgets, deal with a number of currencies and so on. There’s no end to how much you may achieve with the help of check book software.